Hello Happy Site Owners! This week’s tips include getting serious about using Pinterest, more ways to embed videos, 202 blog inspiration ideas for high traffic, why your little happy face is displaying less in rich snippets, how to future proof your SEO, why authority on a topic matters for ranking, and a super roundup of G+ tips including social signals in Hummingbird, Jedi Master tips that work, and for dessert, a hot out of the oven launch of new G+ videos. So let’s dive in. Listen to the podcast. Standing Podcast – I’m trying all sorts of new things this year. And this tip came from one of my clients who is a running coach. She also hosts a podcast too and suggested that I stand while recording. When I’m teaching classes or consulting, I tend to walk. Getting up from behind my desk makes my chiropractor happy too. But I think it adds some extra energy to the discussion as well. So, leave a comment if you can hear that difference in this week’s podcast, if you like. It sure feels more energetic to me. Pinterest – I’ve been telling you for a while that I’m getting serious about using Pinterest this year. And I’ve got several tips this week for you about that. And, I’ll be taking you on the journey with me as I go through it. Now, I still have tons to learn about Pinterest itself, and how to make the most of it on my blog and on G+. But, where I’ve started my journey is on the admin side of the site because that’s what I do. One of my primary goals is to help you get your site on a firm foundation, and then add layer upon layer of SEO, conversion, and marketing. With that in mind, I published a post yesterday with both a video and written tutorial on how to Verify your Site on Pinterest with Genesis. It uses the features built right into Genesis so you don’t have to upload a file or use a plugin. And that will help your site performance and reduce your security risks. The fabulous graphic you see on the post was created by Ann Drake, of OnSuttonPlace.com whose verified Pinterest account is featured in the video too. Now, I still have a lot to add, and will be tweaking that post later as I learn more and add new things. But, it’s a good place to start. And that’s the main tip I want to pass on to you today. Start. Don’t worry if it’s perfect or not. It will get better as you go. No blog post is in stone. You can update it at any time. You’ll do better as you learn. Personally, I like having the freedom to finger paint like I’m in kindergarten. It’s fun and it keeps my creative juices fresh and flowing. And, my expectations are in line with my reality. I expect to have fun, learn, and grow, and that’s all for right now. And I invite you to do the same with something that is new to you. Since WordPress 3.6, we’ve now had the ability to embed audio and video files by just using the URL. They play now in the new WordPress media player, which keeps you from having to install another plugin too. Ellen Finklestein has a super post listing all of the sites that are compatible with the new embed code. They include Flickr, Instagram, SlideShare, Vimeo, YouTube, and lots more. But, the real news is that now Amazon S3 is on the list. Now, if all of your videos are viewable by the public, this easy embed feature is the way to go. But, if they’re part of a membership site, like most all of mine on AS3 are, then you’re still going to want to use a plugin like S3 Flowshield to hide the path to your bucket. Or, you’ll want to use the pro version of Vimeo that has extra protection for that too. The folks at StudioPress have launched a new theme on the Genesis framework called Streamline Pro. This is a good design if you need to feature you or your services first, instead of your blog posts. That’s exactly the type of change I made on BlogAid that has brought in a ton of new business. And this is another good example of why one theme will outperform another to meet your goals. I am ecstatic that +Ana Hoffman is blogging again. And she started 2014 with a bang. If you need blogging inspiration that increases traffic, here’s 202 of them. At Pubcon last October, Matt Cutts announced that Google would reduce the number of rich snippets it displayed by 15%. Well, that reduction has hit, and reports are coming in from folks who have been monitoring their stats. It looks like the worst of it is over, and things have leveled out. If you want to get up to speed on the what, why, and how, see this post from Cyrus Shepard. A couple of weeks ago, I told you in a Tips Tuesday about how I was finally getting serious about using Pinterest. This post from +Stephan Hovnanian is an excellent example of why. He details how the recent changes at Pinterest, with the new semantic markup, can dramatically extend your pin’s reach in search. That’s huge. And it’s on my ever-growing Pinterest to do list. When you read this post from Heather Buckley, I want you to pay particular attention to the section on the role of content in your SEO. Here are two of the things that I think are most important because I’ve seen the results of doing them on BlogAid and plan to do even more. On BlogAid, I started down this road by creating free reports that answered the type of questions I saw over and over again, like the best way to backup your site. After I had spent some time generating a lot of blog posts, I created a static page that serves as a collection of links that is a tremendous resource for new site owners. Google is indexing all of it. All of this content is free. And who do you think those readers are going to come to when they’re ready to purchase? Yep, the one who gave them valuable content and made it easy for them to find. Getting high-value content found in search that converts to clicks, that eventually converts to sales – that’s what it’s all about. So, I started with written content. And then later I moved into podcasts and video. All of that is getting me beyond my site with iTunes and YouTube too. And SEO on the videos is helping them get found too. This next year I plan to branch out into Pinterest and SlideShare, both of which not only get me beyond the blog, the SEO potential is very high. The point I’m trying to make is to start. Use what you already have and build on it. So what if it takes 3-4 months to do each thing. This time next year, you’ll already have been reaping the benefits of each one. So, for 2014, write down one thing that you can create beyond your blog posts and get started on it. Stay with it until it’s finished, then write down the next one and do it. Once you start actually manifesting these things, your inspiration and creativity will kick in and you’ll begin to see even more opportunities. I picked up this post via one of +Mark Traphagen’s excellent FlipBoard collections. And, hint hint, that’s just one more way you can curate content beyond your site. Mark is my fave SEO guy and in his guest post on SteamFeed, he shows how authority matters when it comes to reshared posts on G+. I can personally attest to the power of this. I’ve had several posts hit the front page of Google. And I’ve had one post hit the front page of Google and stay there for about a week. Then, when my original post started slipping in the rankings, it was replaced by the reshares of influential folks who had my Circled on G+. Because of them, my post stayed on the front page of Google for nearly a month. And I’ll tell you another secret about that type of relationship marketing too. If you want to get on the radar of folks that already have influence and authority, try commenting on their posts in a way that you’re adding value to the conversation. Try promoting their posts to your audience. I know I how feel toward the folks that consistently support BlogAid that way. But keep in mind while you’re doing this that you have to create high quality, high value content of interest to their readers if you want them to reshare your posts with their audience. Don’t think that just interacting with them is enough. They got to be big and influential by sharing the good stuff. Strive to be a source of that good stuff. Mark also works for the SEO firm Virante and in this post he introduces us to a new AuthorRank Testing Tool they’ve created. It’s still in Beta, so the scores you see now may change. You’ll also have to test it with the G+ ID of other bloggers that you know to get some context for the scores you see. And try it with your peers, not just the big folks you follow. That would be a better indicator maybe of apples to apples for you. G+ is THE best platform for gaining SEO off your site. It’s also a super rich network of helpful folks. In this post, Guy has culled together posts from some of those top folks to help you get started and make the most of G+. Google has now overcome its technical limitations in factoring social signals, and you better believe that G+ is at the heart of it. In this post by +Eric Enge on Search Engine Land, he breaks down how this new ranking factor works. The bottom line is, if you’re not active on G+, you’re missing out, big time. If you are active on G+, but not thinking strategically, you’re missing out too. In this past year, I’ve watched several folks virtually come out of nowhere and make a big name for themselves via their relationships on G+. It basically revolutionized their businesses. No more excuses. It’s time to make G+ a priority. 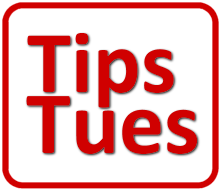 In the last Tips Tuesday, I gave you three tips to rock 2014. One of them was to get busy on G+ and the other was to get strategic about it. And to do that last one, +Stephan Hovnanian has provided you with a blueprint in his guest post on the 12 Most blog. Just pick one to start and build the rest around it. And if you haven’t noticed yet, Stephan is one of my fave folks on G+. I highly recommend that you follow him there. You’ll learn a lot, guaranteed. This just hit yesterday. + Martin Shervington just published 5 new videos and blog with the latest info on using Google Plus for Business and Individuals. This is an updated version of the original set of videos and info he collected about a year ago that has helped thousands of folks get going with G+. Whether you’re new to it or have been using G+ for a while, you’re going to get great tips and insight from this series.